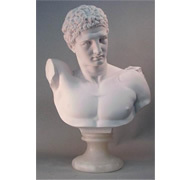 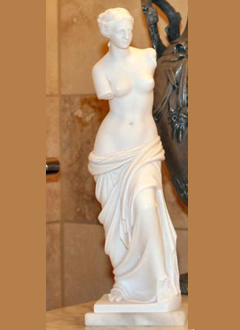 Our classical sculpture category is one of the most popular with our customers. 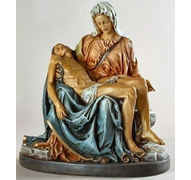 A large assortment of well known reproductions from the world's most famous artists and sculptors are contained in this extensive collection.. You will find reproductions from Michelangelo, Rodin, Donatello, Canova and many more. 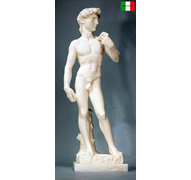 Classical sculpture encompasses Greek and Roman god and godesses as well as museum masterpieces. 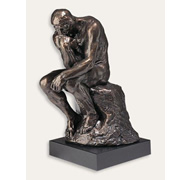 Some of our best selling pieces are the Statue of David by Michelanglo or Donatello, The Thinker, The Kiss, and The Eternal Idol by Rodin, The Discus Thrower by Myron, The Nike of Samothrace and Venus de Milo. 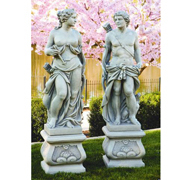 These are just a few of our most popular classical sculptures. 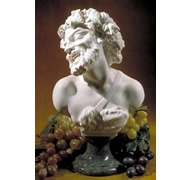 Many of the pieces in this category are imported from Italy and are composed of bonded alabaster or bonded marble. 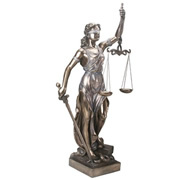 We offer a wide variety of sizes, materials, and price ranges. 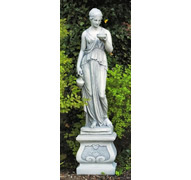 You are certain to find something to complement your home or garden. 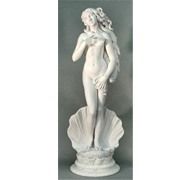 Classical sculptures also make wonderful gifts.